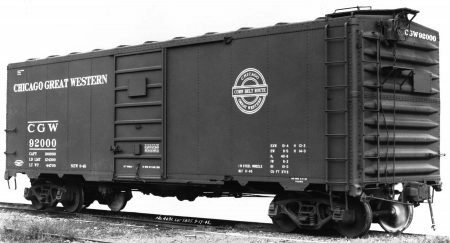 Pullman Standard Builders Photo, Lot 5805, Class Boxcar CGW 92000. Photo from the Mike Skibbe collection. The Resin Car Works minions have been busy. 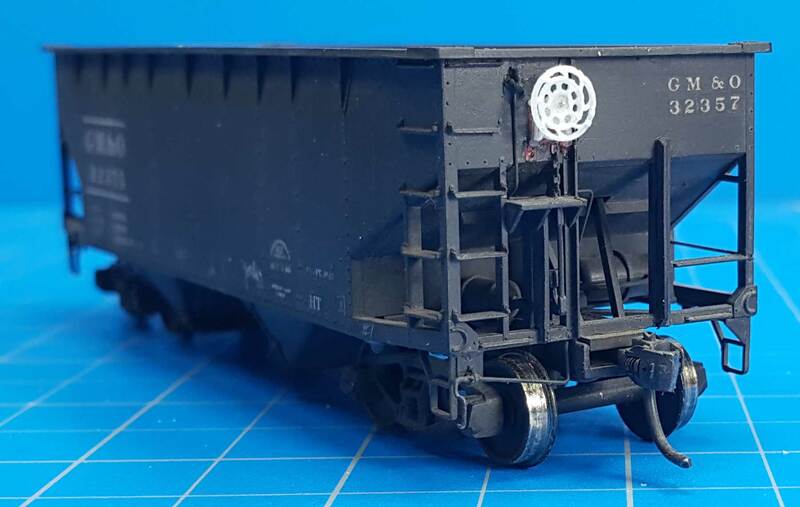 The next release is an HO scale mini-kit that includes castings of Pullman Standard “Carbuilders” corrugated ends, decals, and a pair of the correct Tahoe truck sideframes for a Chicago Great Western boxcar. These Pullman Standard “Carbuilders” corrugated ends were used on two series of Chicago Great Western 1937 AAR box cars. These components were featured in the kits given to the 2017 RPM Chicagoland attendees and created from printed 3D masters. Some modelers have shared their construction progress on the RPM Chicagoland forum. Modelers will need to supply an Intermountain 1937 AAR box car kit for the conversion. Check out the Resin Car Works website for mini-kit details. 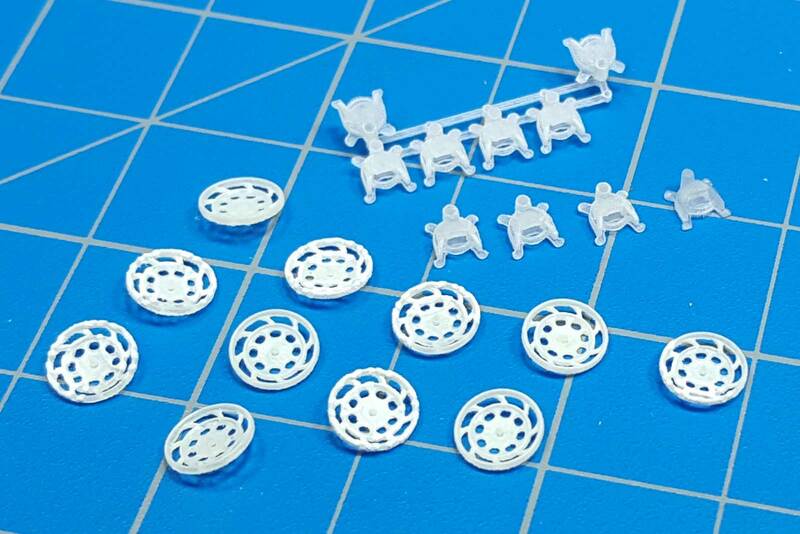 Next up is another Resin Car Works detail part. Distinctive Klasing hand brake wheels and gearboxes were used on many freight cars from the 1940s and into the 1960s. The parts are 3D prints from Shapeways, printed with the Fine Ultimate Detail material otherwise known as FUD. We thank Gene Green for his expertise and access to his archive. 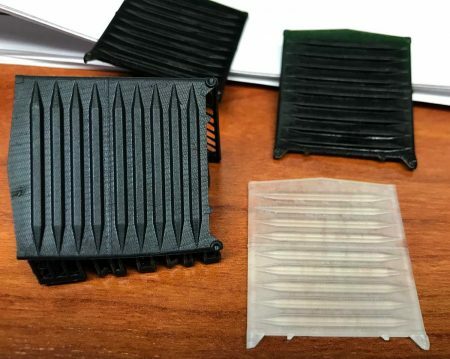 These parts could not have been produced without his assistance. The brake wheel part follows 1939 plans and is only one style of Klasing brake wheel. There were modifications over time with changes in the brake wheel casting “cut-outs” pattern. Resin Car Works is only producing this one style. Here’s the detail parts installed on a GM&O offset twin hopper contracted in 1942 by ACF from series 32250-32399. All 150 cars had Klasing handbrakes. This Accurail kit has had reworked ends to reflect the prototype. Check out the Resin Car Works Decals & Parts web page for more details. Please note the mini-kit parts and the Klasing brake wheel parts will be made as orders arrive. Delivery to your door may be delayed. When will these be available and at what price. Not that I’m eager to score a couple or anything. Steven, the kits are now available. Price and ordering details are on the Resin Car Works website. Links to the specific web pages were included in the blog post. – Eric H.
Are the the same ends used on the five colorful C&EI express boxcars? Microscale offers the decals. Bill, these ends apparently were used on five C&EI express boxcars. – Eric H.
Very nice! The level of detail is incredible. Nice looking end. Do you know who cast the O scale end?